The first month of this new year has already all but vanished before our eyes, but we can at least console ourselves with the knowledge that February brings a pile of new film and television titles to HBO Now. The pay-cable channel’s streamer is making some top-notch additions next month—let’s jump right into the highlights. Movies take top priority on HBO’s February slate, with one particular title standing a cut above the rest: Won’t You Be My Neighbor? 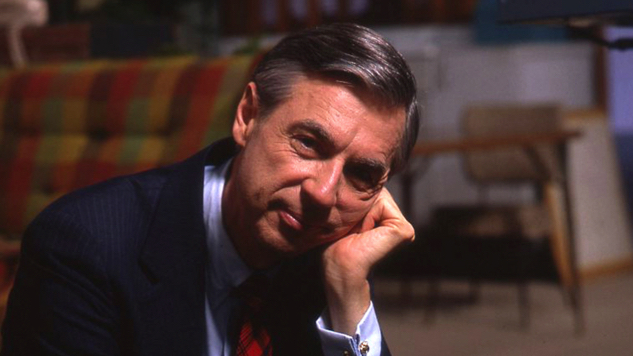 (Feb. 9), Oscar-winning filmmaker Morgan Neville’s (20 Feet from Stardom) documentary on the life and career of beloved children’s TV host Fred Rogers. This award-winning portrait of the “radically kind” man at the center of Mister Rogers’ Neighborhood went inexplicably overlooked among this year’s Oscar nominations, but, as evidenced by its towering 98 percent Rotten Tomatoes score, and its dual spots on our lists of 2018’s best documentaries and best films of any kind, you’d do well to pay attention where the Academy did not. The Focus Features/HBO production “is not just a balm in the age of Trump—it’s an opportunity for viewers to reconnect with their own decency, and Neville’s gentle skill at arguing for goodness ends up being a minor miracle,” wrote Paste contributor Tim Grierson. Other HBO original films to follow include feature-length pro football doc The Many Lives of Nick Buoniconti (Feb. 12), roller-rink subculture exploration United Skates (Feb. 18) and Jeffrey Wright-starring prison drama O.G. (Feb. 23). As for licensed films, HBO Now’s big get for February is the theatrical premiere of Deadpool 2 (Feb. 16)—the Super Duper Cut Unrated Version, no less. Preceding the Ryan Reynolds superhero hit on Feb. 1 are Oscar-nominated Michael Mann thrill ride Collateral, action franchise features The Bourne Identity and The Bourne Supremacy, Ang Lee’s bold 2003 take on Hulk, iffy Stephen King adaptation Secret Window, claustrophobic Ryan Reynolds thriller Buried, and Danny Boyle and Alex Garland’s vastly underrated sci-fi adventure Sunshine. Making their theatrical premieres later in the month—and wrapping up February’s film slate—are 2018 basketball comedy Uncle Drew (Feb. 2) and Gabrielle Union-led home invasion drama Breaking In (Feb. 23). There’s plenty to look forward to on the TV side, as well, with everything from a new HBO original show to a few returning favorites—from series premieres to season finales—on the docket for February. We’ll keep things chronological and begin on the first of the month, when the aforementioned new show debuts, though it turns out that horror anthology Folklore, which explores the supernatural mythology of six Asian countries, including Indonesia, Japan, Korea, Malaysia, Singapore and Thailand, is only newish, as it first debuted on HBO Asia last fall. Come Feb. 1, the six-episode, hour-long show will be available for U.S. audiences across all HBO streaming platforms, including HBO Go, HBO Now and HBO on-demand. One week later on Feb. 8, 2 Dope Queens—the series of specials based on Phoebe Robinson and Jessica Williams’ hit comedy podcast of the same name—returns for its second installment, while the sixth season of Last Week Tonight with John Oliver premieres on Feb. 18, which can’t come soon enough, seeing as how we’ve come to rely on the former Daily Show correspondent and his team to help us piece together the remaining tatters of our sanity on a weekly basis. HBO Latino’s take on the John Oliver-style current events comedy show, Chumel Con Chumel Torres begins its fourth season on that same date, Feb. 18, as well. And arguably the biggest TV addition of all comes last, airing on Feb. 24: The surprisingly solid third season of Nic Pizzolatto’s True Detective arrives at its season finale that night, concluding the multi-timeline narrative revolving around Arkansas state police detective Wayne Hays (Oscar winner Mahershala Ali) and the haunting murder case that sends ripples through his entire life. Here’s hoping Pizzolatto and company stick the landing. Lastly, let’s touch on the titles leaving HBO Now next month, some of which are certainly worth watching. 2017’s film adaptation of CHiPS, departing on Feb. 10, isn’t one of those, but many of the titles on their way out Feb. 28 are, including 2002 Tim Story comedy Barbershop (and 2004 sequel Barbershop 2: Back in Business), 2017 tennis showdown Battle of the Sexes, bloody kill-or-be-killed thriller The Belko Experiment, classic Chevy Chase comedy Fletch (and 1989 sequel Fletch Lives), extremely Judd Apatow dramedy Funny People, Harrison Ford-starring action masterpiece The Fugitive, David O. Russell’s quirky I Heart Huckabees, animated franchise-starter Ice Age, Shane Black crime caper Kiss Kiss, Bang Bang, Oscar-nominated superhero standout Logan, 1991 drug-dealing drama New Jack City, Guy Ritchie’s stylized 2009 take on Sherlock Holmes, meme-spawning trainwreck The Snowman and Spike Jonze’s Golden Globe-nominated Where the Wild Things Are adaptation. Catch ‘em while you can, folks … maybe not The Snowman, though. Find the full list of HBO Now’s incoming and outgoing titles for February below. *Denotes early nonlinear premiere. Premieres on HBO linear 2/25.